The Lime Tree An Ealdhain Gallery is hosting a collection of dreamy homages to the sea in a brilliant showcase of work by established contemporary Scottish painters like Shona Barr, Jim Wylie and Lys Stevens as well as weaving by artist Mary Maddocks, all of whom are enchanted by the magic of the coasts of the Scottish Highlands. 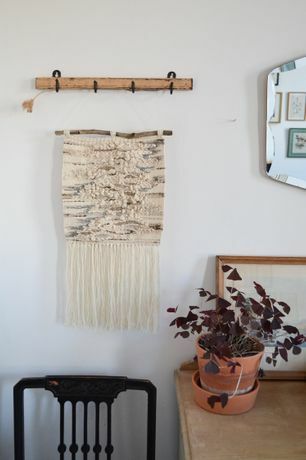 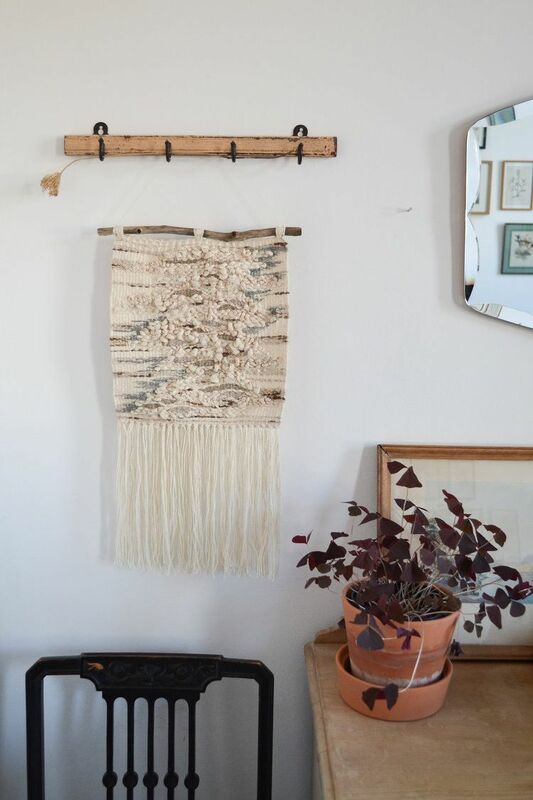 Maddocks, who has three highly textured woven wall-hangings on display, describes the inspiration found in “ferocious waves, plumes of shimmering sea spray and stark sunlight” which she brings into her pieces through a combination of recycled and natural yarns. 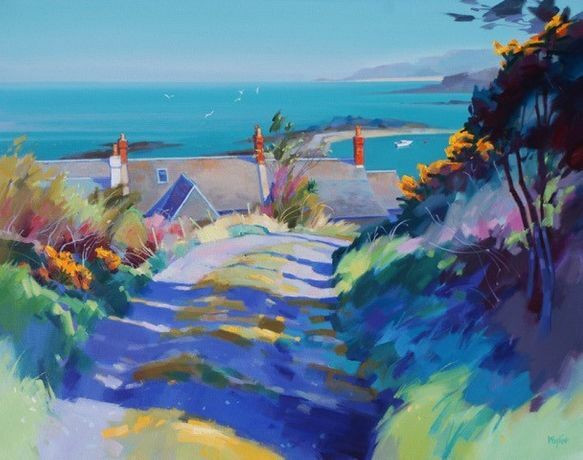 There are seven professional artists on display with quite different approaches to painting but all highly admired in their field; in addition to the four previously mentioned we have pieces by Joanne Last, Deborah Campbell and our artist in residence David Wilson. 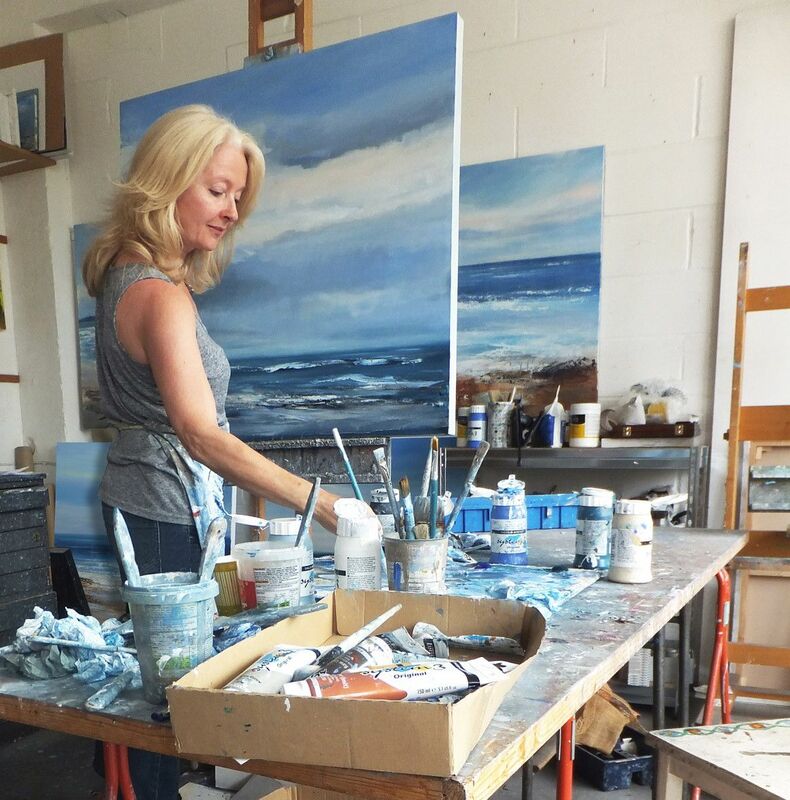 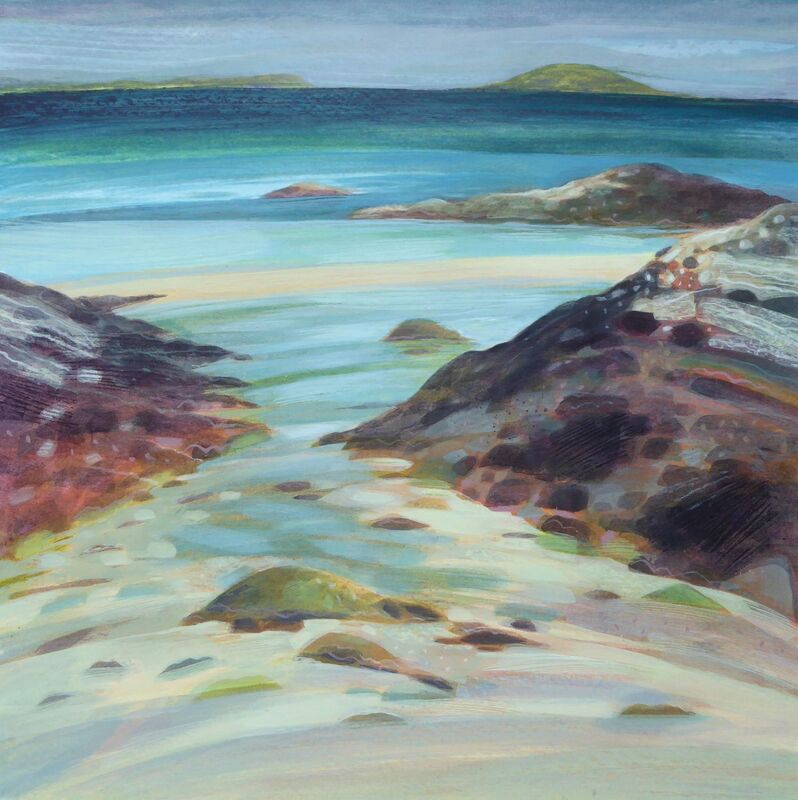 Joanne described a love “for the extremes of still calm days and crashing waves and stormy skies” which she explores in depth in her work, seascapes being her primary source of inspiration. 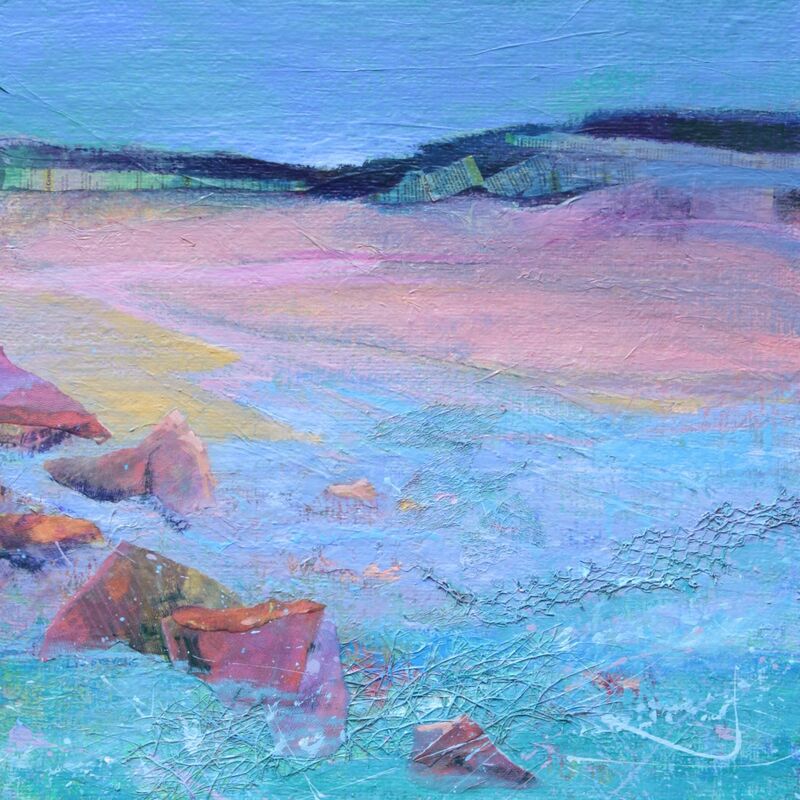 The range of works on offer span from playful and bright to moody and dramatic, reflecting the many facets to the sea and the challenges in studying it as a subject matter.